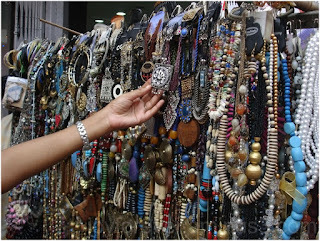 Aditi Basu Roy lays her hand to describe the in-fashion of Bengal. This puja be selective to stand out in the crowd. Now-a-days intellect is dominating the women’s fashion arena of Bengal. The deshi hand- woven cotton with vibrant colours is very much in for sarees. Saree is the signature dress code for festivals here. It’s always in the wish list of the Bengali women, irrespective of socio-cultural background. New trends come and go but the love for that traditional attire remains the same. Handloom cotton and silk are the most preferred choice now. The reason behind that is perhaps West Bengal’s summer driven climate. And of course occurrence of some prominent Bengali festivals in April and May, the most hot and humid season here. So, women look to wear something soft and airy in that particular time of the year. 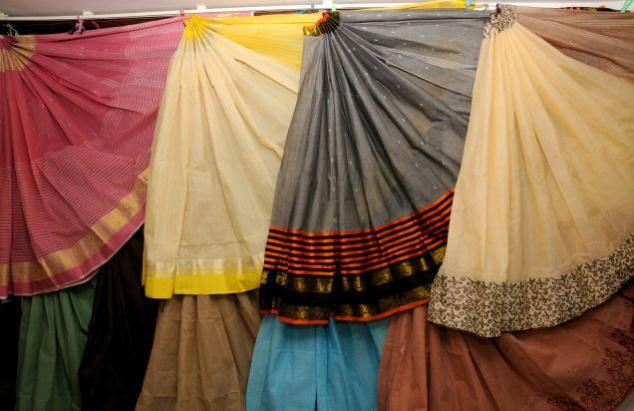 Another factor is the elegance and matte finish texture of cotton sarees. Those are available here in Bengal with traditional graphics, inspired by other states of India too, printed all over the body. That offers a good length of variety. These sarees can be teamed up with contrast blouse and jackets to create an imposing yet elegant fashion statement. After saree, kurta rules over the Bengal fashions cape. In kurtas, horizontal and vertical stripes are very much in. Animal prints like parrot, peacock, tiger prints are the most desired ones. With Durga Puja, the biggest Bengali festival, knocking at the door the Kolkata market is flooded with bright coloured materials. Talking about variety, uneven cut kurta with collar spreads is all over here now. 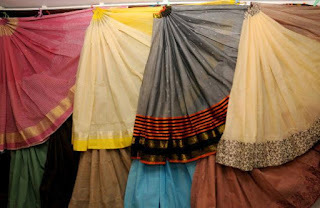 Frankly speaking, no fashion conscious young girl is willing to put on traditional churidar and salwar suits anymore since emergence of such unique designs. Another thing that’s they are dying for is palazzo. A modern girl’s wardrobe is incomplete without that. Earlier, girls used to wear short t-shirts with palazzo but now long-kurtas have replaced those short tees. The patiala-fever has gone with the growing palazzo-frenzy in the city. The torn jeans have finally reached here only a year ago to rule over the jeans era. Only a very few popular brands used to import ripped jeans then. But now the scenario has changed completely. This puja almost all the shopping malls and street shops have been working upon their stocks of torn jeans in Kolkata. Besides traditional jeans floral print- jeans has also become very popular now. Capri and leggings are also popular particularly among young girls. Bright and colorful leggings have practically outdated churidars. Gujarati wraparound and a-lined skirts have added another feather in our fashion hat. The deshi- sleeveless shrugs are also preferred by many. Kashmiri, Gujarati and kalamkari-printed shrugs are very much in. These are available everywhere. With all these dresses, matching accessories are ardently needed. 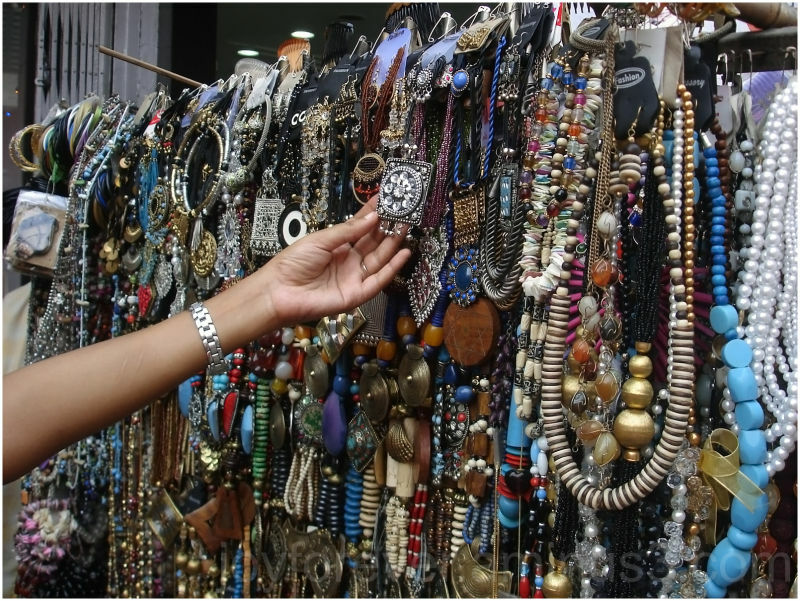 Junk jewellery is now the thing to look forward to. These are made of various materials, beginning from clay, copper and ceramics to clothes. The current jewellery trend in inclined to slick pattern. Heavy jewellery is almost outdated now. So, tighten your seat- belts and fly across the vivid world of fashion of West Bengal.